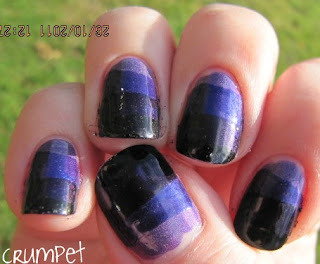 The Crumpet: Hallowe'en Week - Purple Witches Tights! 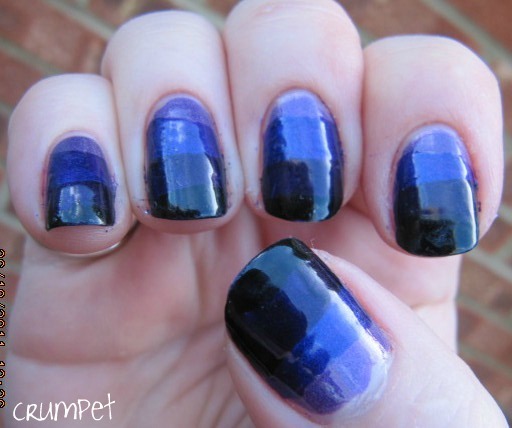 I have a great mani for you today – it’s basically a taped mani (my first proper one where I attempted straight lines) in darkening shades of purple that eventually end in a stripe of black. It’s a mani I would have wanted to do anyway, but it also reminded me of the tights a witch might wear lol. 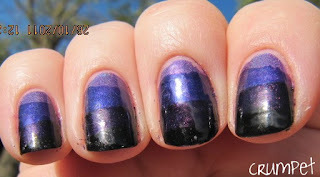 The colours here started with a base of China Glaze LOL, a medium to dark purple holo. I only started with this cos I was swatching it anyway! 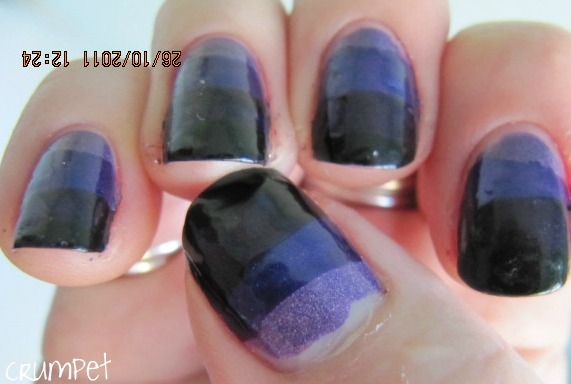 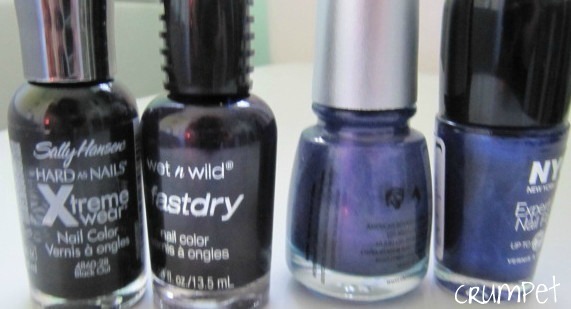 Then we have a NYX electric blurple called Midnight Amethyst, the amazing Ready to Pounce from Wet n Wild’s On The Prowl Collection, and finally, SH Black Out. 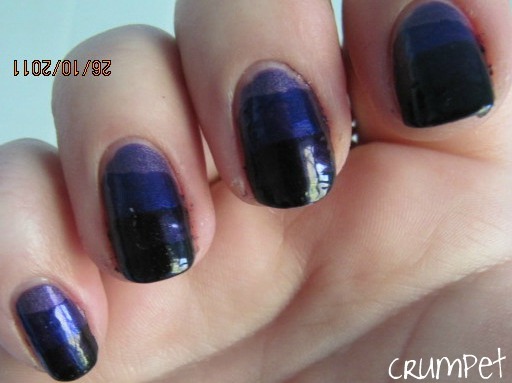 You’ll need to be gentle with my first attempt, but it’s not too bad. 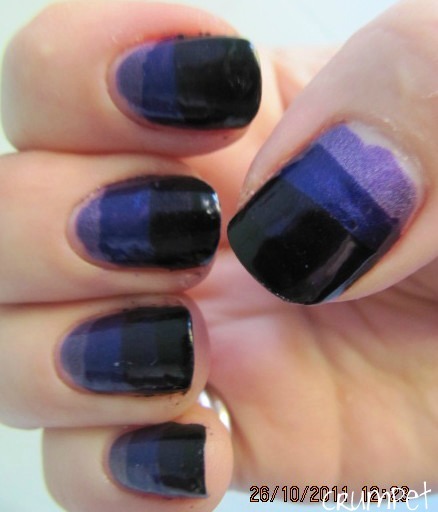 I didn’t quite get the polish to the sides of the nail, so I ended up doing something refilling with a thin dotting tool, just to level the stripes out. 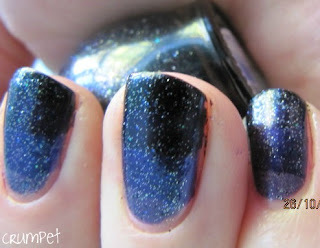 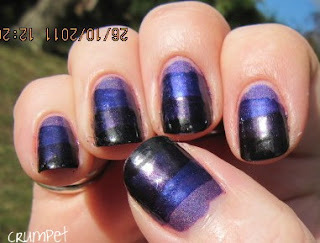 I really love this combination – Ombre Striped Gradient? 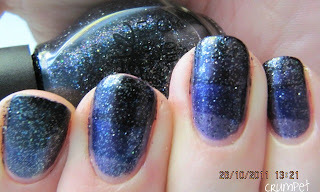 – and I can see it working well with a lot of colours. The Ready To Pounce is really hard to photograph, and it’s only in the sunshine pics that you can really tell there are 4 stripes. 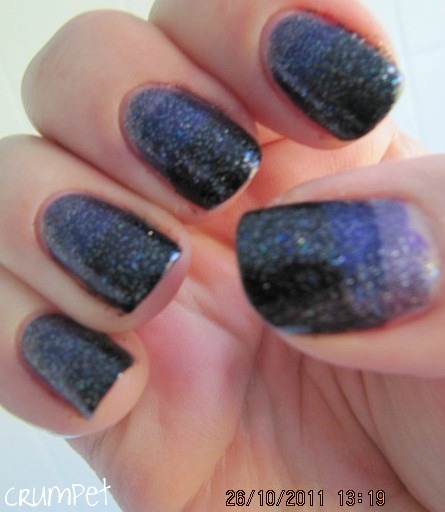 I then wanted to go one step further, and what better glitter to use at Hallowe’en than NOPI Pitch-Black Glimmer, which is literally coal dust in a bottle. I love the overall effect this added – almost like black sparkly cobwebs.